Following your own arrest or that of a loved one you likely have many questions about what happens next. For many people the first thing they want to know is how can they get out of jail. The answer to that is simple; call 5 Star Bail Bonds for bail bonds in San Rafael and let us take care of your predicament. Here are several other frequently asked questions about bail bonds. Bail is what allows for the temporary release of a person who has been charged with a crime and is awaiting court. It is generally a sum of money that is paid by or on behalf of a defendant to guarantee their appearance at their court date. After the court sets the required bail for the defendant to be released a bail agency can provide what is knows as a bond to the court which guarantees full payment of the bail amount should the accused not appear in court. 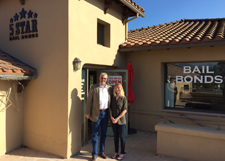 Bail bond businesses offer this insurance by charging a percentage fee of the total bail amount. If the defendant does not appear in court the bond is forfeited. Who is an Indemnitor or Guarantor? The indemnitor/guarantor is the person that is willing to be held accountable for the actions of the defendant while they are out on bail and they need to ensure the defendant makes it to their court date. This person also co-assumes financial liability to guarantee the full bail amount if the person does not appear in court. The general bond amount is the full amount for the cost of bail, which is set by the court. The bond premium is the amount that becomes owed to the bail agency for posting bail for the accused. What is the Cost of Bailing a Person Out of Jail? This varies case by case and it is an answer best left to a professional bail bond agent. 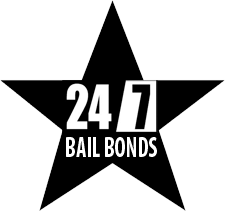 To receive more information about posting bail in Marin County contact 5 Star Bail Bonds at (415) 479-4800 today!